Welcome to a new mini series I'm starting on my blog! It's called 'What Would Willson Wear' in which I'll essentially be showing, what I wearing (what a concept, I know). Yesterday was probably the longest day I've had in ages. Having to get up at 5am on a Saturday is not how I'd like to start the weekend. However, I was going to an open day and if I've learned anything from going to open days last year with my sister, it's that the earlier you get there the more likely you'll see everything you need to without it being constantly crowded. I've never been to Manchester before, but I instantly fell in love with how vibrant the city is. I went to look at the Fashion Buying and Merchandising course at Manchester Metropolitan which is what I'm hoping to do next year. In addition to this, I had a sesh later that day, and I know how hard it is trying to get changed in the back of a car on the A14 so I had to make sure that whatever I wore would be day-to-night ready. 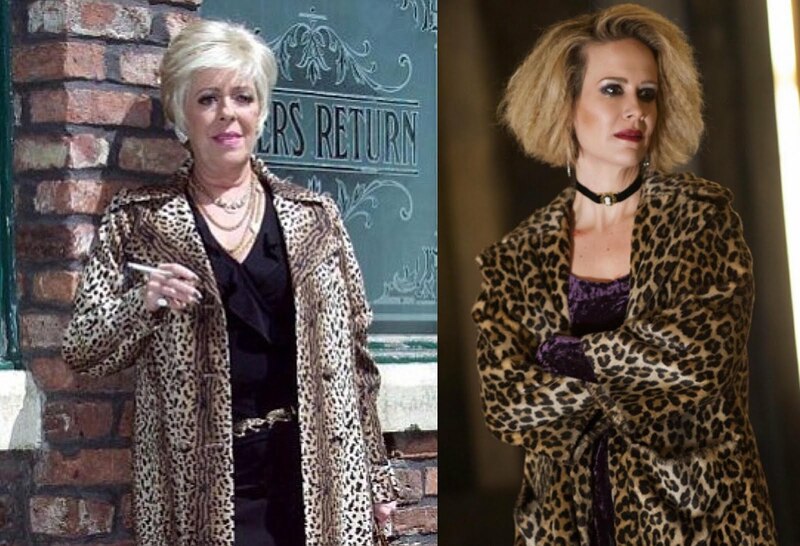 The main focus of this outfit definitely has to be my new faux fur leopard print coat from Topshop which I am L O V I N G. I feel like I'm channelling all my Bette Lynch/Hypodermic Sally vibes when I'm wearing it. It's so fluffy and perfect for winter. I layered it over this green thick-mesh polo shirt I bought from a vintage shop. I love how strange it looks as I've never seen anything like it. I wore it over a black bralet and pair of black high waisted skinny jeans. As I was going to walking round all day, I decide to opt for a pair of black boots to keep it casual yet practical. If anyone knows me, they know how much I love a pair of hooped earrings. After losing my silver pair in a mosh pit at Mystery Jets (how does one even mosh to MJets anyway?) I had to buy a new pair, except this time I decided to go a little bit edgier and found these black hoops from Primark. To transfer this look from day to night all I had to do was change the boots to a pair of platform heels (which I ended up taking off half an hour into the sesh anyway), tie the shirt into a knot at the front to give the illusion of longer legs, put on a classic red lip and tie my hair up in a messy ponytail to show my neck line a bit more (and also in case I needed to have a tactical chunder. Luckily it didn't come to that). 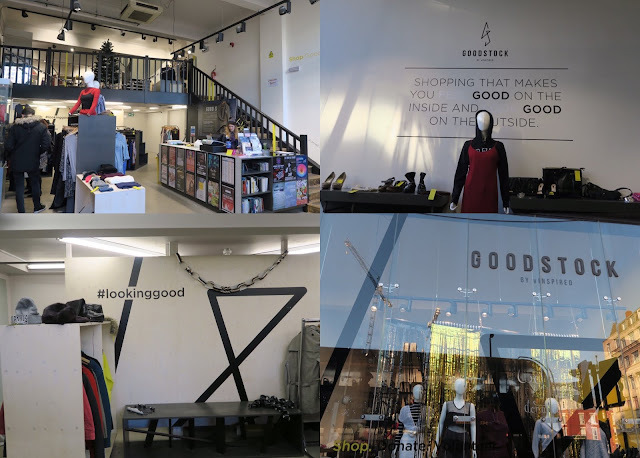 One thing that I've loved about the Manchester Fashion Institute is that they work alongside with Goodstock which is ran by the charity vInspired, based right in the heart of the city on Oxford Road. As I'm someone who has an undying love for second-hand clothing I could't give it a miss. "Goodstock by vInspired sets out to smash the myth that charity shops are about old-fashioned, worn out clothes. Instead, our stores are home to beautiful secondhand garments that are customisable, unique and supporting a charitable cause"
"Our aim is to bring sustainable fashion to the high street while offering a fresh, new take on the traditional charity shop"